Tonight Victoria Ayo is in the wood shop carving a foam model of a compass for her Products of Design courses. The compass is intended for use by blind people. 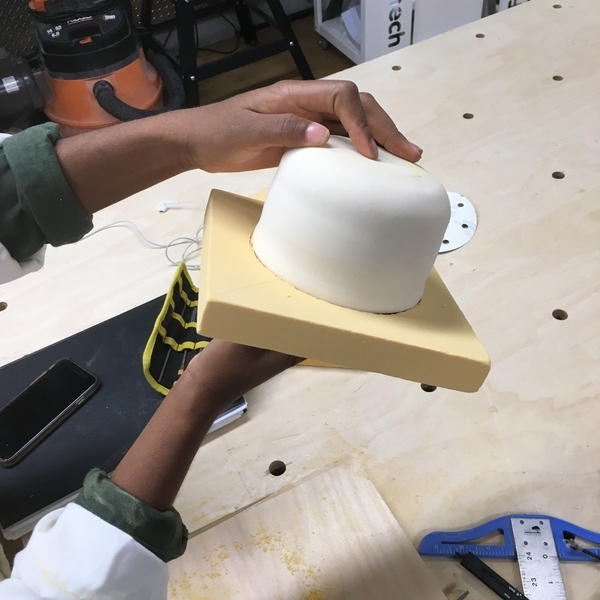 She utilized the lathe for the first time to shape the bottom shell out of a dense foam, then opted for a softer balsa foam to shape the intricate details into the top piece.